A routing protocol is a protocol that specifies how routers communicate with each other, disseminating information that enables them to select routes between any two nodes on a computer network, the choice of the route being done by routing algorithms. Each router has a priori knowledge only of networks attached to it directly. A routing protocol shares this information first among immediate neighbors, and then throughout the network. This way, routers gain knowledge of the topology of the network. Moving data over a network can be as simple as sending an email from one computer to another in the same building or as complex as moving large volumes of data from one part of the world to another. Routers make decisions about how to transmit information by using tables listing where other routers are located and various algorithms — processes for accomplishing a task — to make the best decision about which routers and paths to use. Network administrators can create routing tables manually, but it is a tedious task. The only advantage is that the administrator knows the exact path data is taking to get to a destination, making static routing tables predictable and manageable. Static routing works best in small networks. A less tedious way to create a routing table is dynamically. Dynamic routing requires each device in a network to broadcast information about its location, which other devices use to update their routing tables. Frequent broadcasting keeps the tables up to date. 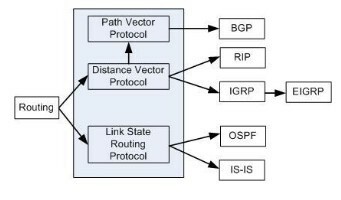 Dynamic routing protocols use different algorithms to help routers refine path selection: interior, exterior, link state and distance vector, according to where they are in a network and what type of information they provide. Interior gateway protocols, as the Internet community calls them, are typically used in small, cooperative set of networks such as might be found on a university campus. One of the oldest interior protocols is Routing Information Protocol, or RIP. Newer interior protocols include Interior Gateway Routing Protocol, or IGRP, and Open Shortest Path First, or OSPF. Cisco network devices can also use Cisco’s proprietary Enhanced Interior Gateway Routing Protocol, or EIGRP. Interior protocols are fairly easy to set up, but do not scale well to large networks. 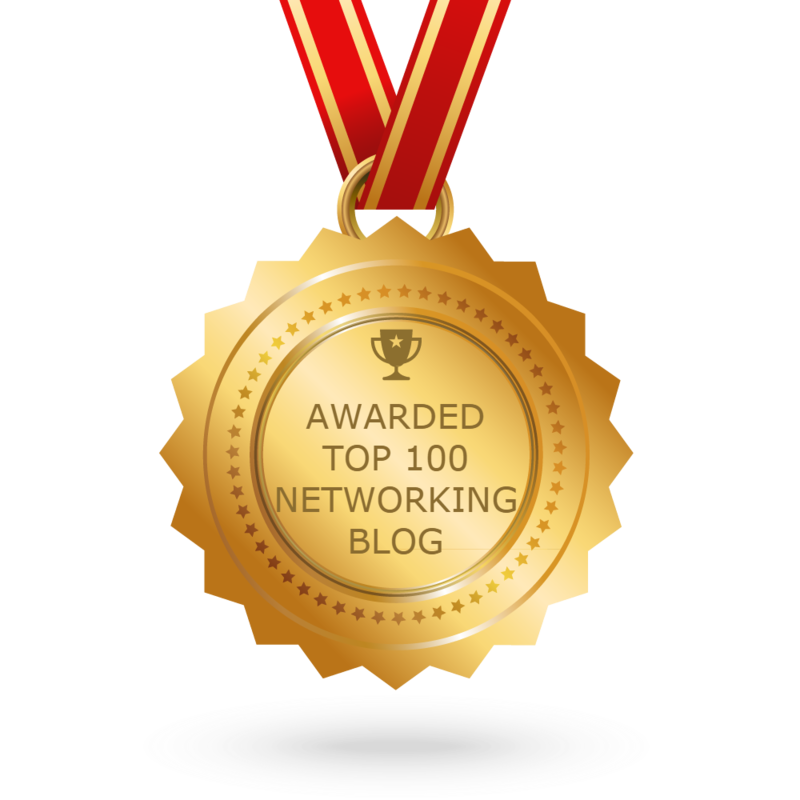 For large networks, network administrators use an exterior protocol such as Border Gateway Protocol, or BGP, to connect large entities like corporate and university networks to the Internet. As its name implies, a link-state protocol collects data about the links or segments between one device and another. Mostly this data is about distance and connectivity, but in some networks link-state data includes information about bandwidth, traffic loads, and type of traffic accepted on the links. OSPF is a link-state routing protocol. Two basic pieces of data are exchanged in distance-vector protocols, distance to the destination and which vector — direction — to take to get there. RIP is a simple distance-vector protocol that keeps a table of paths it learns and the distances to them. Not all routing protocols fall into the categories defined above. For example, Cisco’s proprietary EIGRP is sometimes described as a hybrid of the link-state and distance-vector protocols. Cisco describes EIGRP as “an enhanced distance-vector protocol … [that] calculates the shortest path to a network.” The BGP exterior gateway protocol uses an algorithm called path vector, which means it keeps track of paths used and compares them to determine the best one. a. The Internet Protocols originally called routers gateways. This usage is no longer common, but it still appears in routing protocol discussions. b. Not to be confused with the Exterior Gateway Protocol version 2 (also known as EGP), which is one of many exterior gateway protocols. c. EIGRP has largely supplanted IGRP, its predecessor, because EIGRP has all the advantages of flexibility and simple configuration while improving on speed and resource consumption. It is also capable of being a unified routing protocol both for IP and some non-IP protocols, eliminating the need to run multiple routing protocols in a multi-protocol network. I will point out any significant differences between the two. d. The mathematical definition of a vector is direction and length. Unfortunately, when network engineers refer to a distance-vector protocol, they refer to the direction only. To avoid confusion, we will try to limit the use of the term.